The library caters to the whole community; the library is filled with natural light and houses an extensive collection of books, magazines, journal, audio visual resources and teaching material. Our library staff ensures, the collection is maintained to high standards. The school has outdoor sports facilities; it has been built as a nurturing environment for students, as well as the next generation of athletes statesmen, artists and musicians. 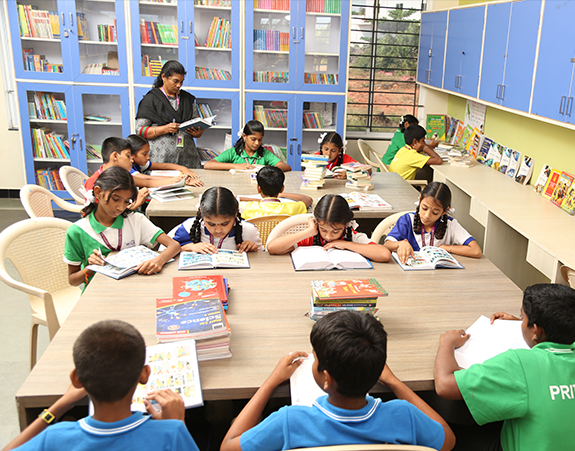 Spaces for the development of intellectual practices are made available in our school campus. The school has a unique science lab which helps the students to learn the theories in a practical way and to delve into the world of science with utmost interest. Our students have access to excellent language labs and up-to-date equipment, while younger children will begin their journey at a dedicated Early Years Kindergarten. The activities of GTVM’s Math lab is designed in such a way that helps students to visualize, manipulate and reason the abstract concepts to concrete. Collection of games, puzzles, and other teaching materials helps the students to express creative ways of finding solutions. 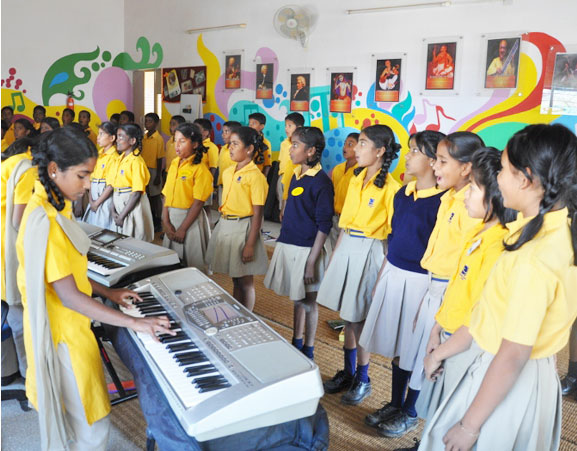 An exclusive musical training program at GTVM enables students to develop language and reasoning. By introducing music in the early childhood years helps our students to foster a positive attitude toward learning and curiosity. The skill of memorization serves well in education and beyond. Learning music with the expertise teacher promotes craftsmanship, and students learn to create good work. Artistic education develops the whole brain and develops a child’s imagination. Robotics is taught to students of standards I to VIII following a full-fledged indigenously developed curriculum framed by Robotix Lab Research Academy. The curriculum has been integrated with the Science and Mathematics syllabi taught in school. Our computer lab is well equipped with twenty computers and it provides space for the students to learn the nuances of technology in a practical way with the help of their facilitator.